Wires & strips for resistance, high-temperature and conductive applications. Resistance heating alloys, resistance alloys and soft conductive alloys .Product forms available are:round wireribbon (flat wire)shaped wire stranded wire. The wire is supplied on spools, in coils, in pail pac or as straightened lengths and available with or without coating. - Applications - Electrical heating elements in high-temperature furnaces for heat treatment, ceramics, glass, steel, and electronics. - Temperatures - up to 1400°C (2550°F). We offer invar, fecral (resistance wire), nichrome, cupronic (copper nickel) & various heating elements in wire & strip form. 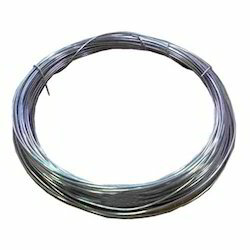 Kanthal & Alloy Resistance Wire used by Heater & Furnace manufacturer for temperature from 100 to 1300 degrees. 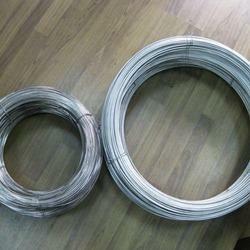 We are a leading manufacturer and supplier of Kanthal Wire. Efficient name in the industry involved in offering the optimum quality of Kanthal Wire. Being one of the trusted organizations in the market, we are affianced in providing a wide range of Electrical Resistance Wire.